At the heart of this drama is the dangerous relationship between a university professor Leah, and her student Rose, when - what begins as a seemingly open and shut case of academic deception - quickly spirals out of control, ending in fatal consequences, and triggering a devastating sequence of events that threaten to engulf them both. 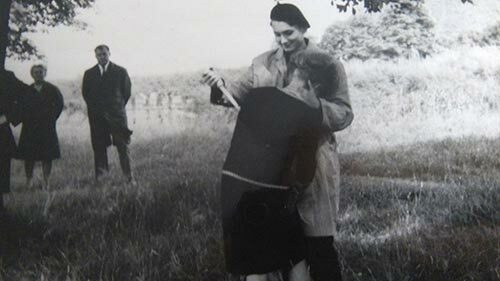 Dr Leah Dale has always prided herself on her academic integrity, and so when undergraduate Rose Vaughan submits a suspiciously brilliant essay, Leah is quick to call her out. A war starts between the two women when Rose takes Leah's challenge as a personal affront and pursues a course of retaliation against her professor, while Leah becomes entirely consumed with trying to expose her student as a cheat. 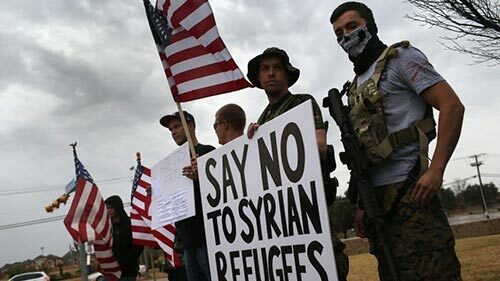 In this one-off documentary, the BBC examines an upsurge in Islamophobia in America, meeting both Texan anti-Islam groups and American Muslims. Award-winning director and producer Steph Atkinson asks how America got here and whether the fears between these different groups are justified. 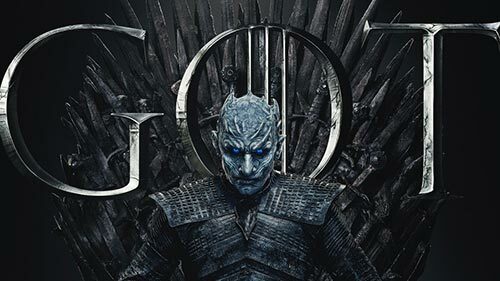 Summers span decades, winters can last a lifetime and the struggle for survival - and the Iron Throne – begins in the final season. Like the previous season, it largely consists of original content not found in George R. R. Martin's A Song of Ice and Fire series and adapts material Martin revealed to the showrunners about the upcoming novels in the series, The Winds of Winter and A Dream of Spring. Returning series regulars this season include Peter Dinklage (Tyrion Lannister), Nikolaj Coster-Waldau (Jaime Lannister), Lena Headey (Cersei Lannister), Emilia Clarke (Daenerys Targaryen), Kit Harington (Jon Snow), Sophie Turner (Sansa Stark) and Maisie Williams (Arya Stark). 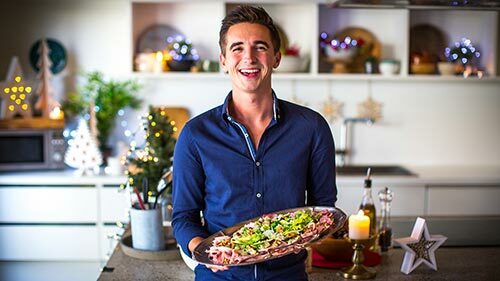 Donal Skehan brings you ways to cook your meals in minutes with loads of tips, hints and cooking hacks. He uses his skills to give you a bulletproof guide to quick cooking, with one pan dinners, 5-ingredient suppers and shop bought cheat meals. After spending a year on the move in different kitchens around the world, Donal realised the need for quick cooking meals with little equipment for the time strapped modern home cook. This series is the ultimate guide to preparing your daily meals in minutes. 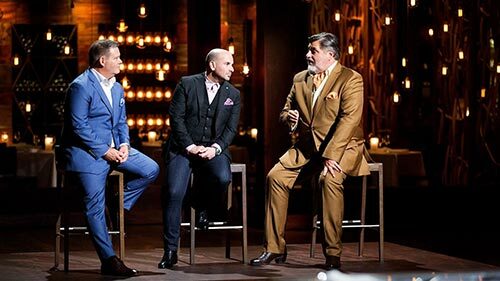 The battle is on to find the most promising, undiscovered culinary talent in Australia, as ambitious kitchen enthusiasts take on demanding challenges in their bid to prove they have what it takes to become Australian MasterChef. The competition starts with auditions, following which the top 50 travel to Sydney where they are put through their paces in a variety of challenges as they compete for a place in the final 24. The final 24 must learn fast and up their game as they are challenged with cooking from a mystery box of ingredients, cooking the same menu as their competitors and hoping to come out top, and taking part in tasks that are completely outside of their comfort zone. Delves into the gripping real-life stories of the world's most terrifying and prolific killers. From Fred and Rose West to Ed Gein - The Clown Killer - and even to The Milwaukee Cannibal. Each episode focuses on one notorious killer and features authentic first-hand accounts of their behaviour, from detectives who ran the cases, journalists who reported on the stories, relatives and at times survivors, alongside series experts who provide analysis. In the Season 3 premiere, "Karol Kot": By the age of 19 Karol Kot (pictured), known as the Vampire of Krakow, had killed two people, an 11 year-old boy and an 86 year-old woman, and had attempted to kill at least a dozen more. In the Season 2 premiere: Macingwane warns the Bhengu family about their future and Ngcolosi and MaZulu are mugged. Elsewhere, Thu Sheleni tells MaNdlovu that she reminds him of his grandmother. 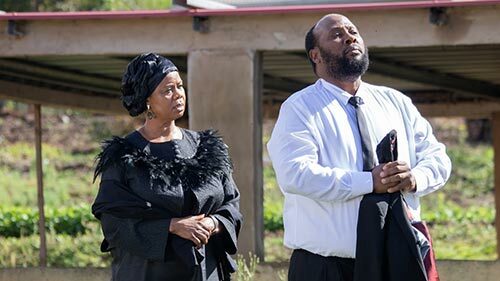 Lindiwe and Khanyo come face to face and Lindiwe tries to make amends. 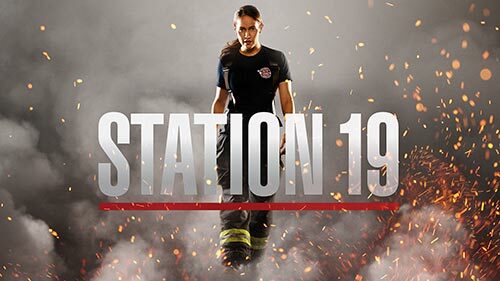 The latest series from Shondaland - the executive producers of Grey's Anatomy, The Fixer and How to Get Away with Murder - follows a group of heroic firefighters at Seattle Fire Station 19 - from captain to newest recruit - as they risk their lives and hearts both in the line of duty and off the clock. These brave men and women are like family, literally and figuratively, and together they put their own lives in jeopardy as first responders to save the lives of others. In the series premiere, when the team responds to an apartment fire, Captain Pruitt takes a hit, the future of the station's leadership is in jeopardy and firefighter Andy Herrera is forced to step up. "Throwdowns" are back and kicking off in the Season 9 premiere, featuring special guest captain Chance the Rapper. 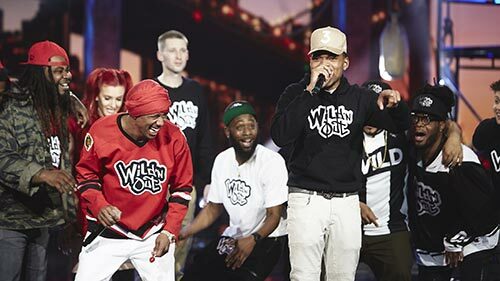 The new season of MTV's freestyle improv series will bring Nick Cannon and his cast of comedians back to New York City and the biggest stage in the world – Broadway. Guest captains for the season include Rick Ross, Lil Yachty, Vic Mensa and Blac Chyna, the cast of the New Edition Story, Run the Jewels, Jake Miller, Remy Ma, Papoose, Young M.A, Wendy Williams, Lil Rel Howery, Tami Roman, Shameik Moore and more. In the first episode of the new season, Feyo Aguilera makes an attempt against Rivero and his family's lives. Meanwhile, Monica takes President Abel's father hostage. In Tuesday's second episode, Ismael tries to escape from Garcia and Tim; he thinks that he and his mother are going to be jailed because of their links with Aurelio. 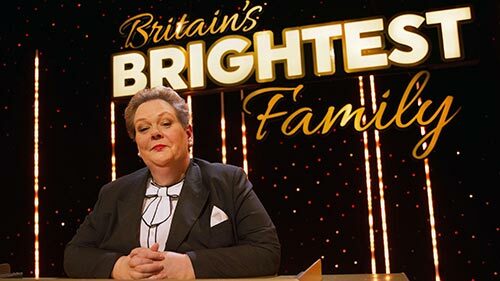 Quiz battle-axe The Governess, aka Anne Hegerty, hosts a new season of this quiz show, in which 16 brilliantly bright families take part in a knock-out tournament as they attempt to win the holiday of a lifetime and the title of Britain's Brightest Family. But there's a twist! In this game it's not just what you know that's important, but also what you think your family know, as players must nominate a team mate to answer the questions. How well do our families know each other? In this series we'll find out. Join floral communications expert Jill Manson as she meets the people who inspire her creativity in some of the most beautiful locations. Jill also shares tips and tricks of the trade as she teaches you how to create floral arrangements for all occasions and purposes. Each episode brings you useful information and inspirational floral designs. Get the low-down on how to mix and match different flowers, how to care for your bouquets, the language of flowers and more. 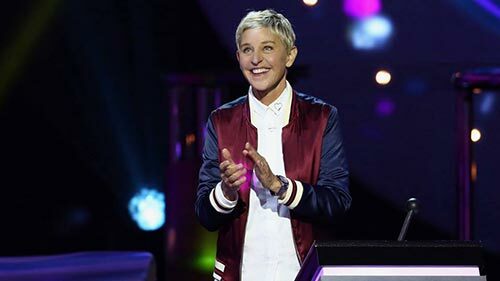 Ellen DeGeneres serves as host and executive producer of this hour-long comedy game show, which includes supersized versions of the most popular and action-packed games from her talk show, The Ellen DeGeneres Show. 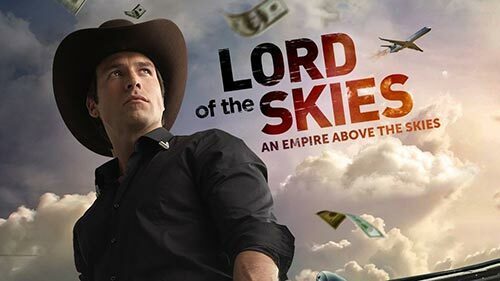 Contestants, who are pulled right from the audience, will have to manoeuvre massive obstacles, answer questions under crushing time pressure and face gigantic plunges into the unknown - all in a quest to win a big cash prize. The Season 2 premiere is a holiday special festive night of fun and games including "It's a Wonderful Wife," "Danger Word," "Blindfolded Musical Packages," "Dizzy Dasher," "Know or Go" and "Hot Hands." I highly recommend Cheat - such a good thriller! It's extra addictive if anyone's ever tried to take over your life. Ever happened to you and no-one will believe you?